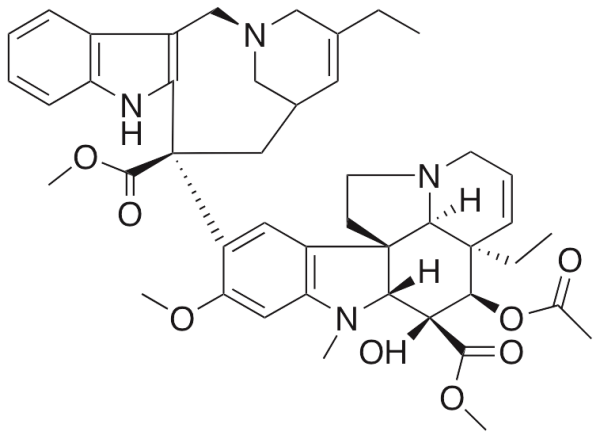 Vinorelbine is a semi-synthetic vinca alkaloid originally found in Catharanthus that exhibits anticancer chemotherapeutic activity. Vinorelbine binds β-tubulin and stimulates microtubule depolymerization, acting as an anti-mitotic. 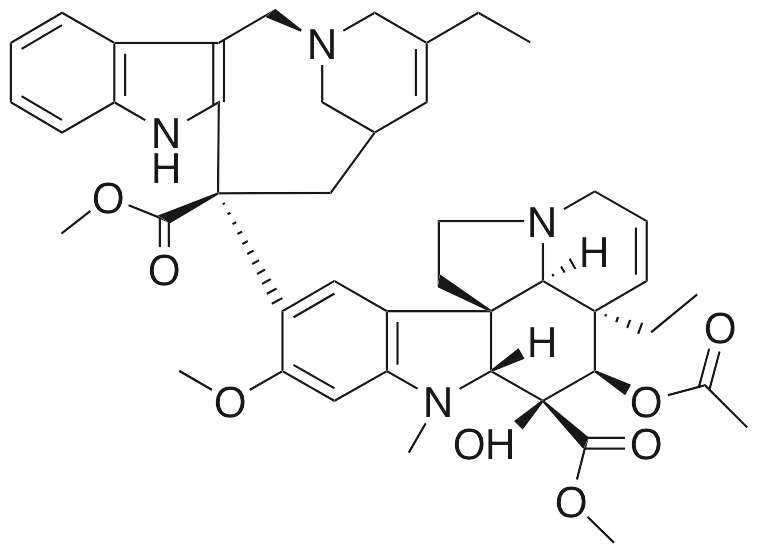 Vinorelbine is clinically used to treat breast cancer and non-small cell lung cancer (NSCLC). In osteosarcoma cells, vinorelbine downregulates expression of cyclin D1 and upregulates expression of p53, inhibiting cell growth. Capasso A. Vinorelbine in cancer therapy. Curr Drug Targets. 2012 Jul;13(8):1065-71. PMID: 22594474. Roncuzzi L, Marti G, Baiocchi D, et al. Effect of Vinorelbine on cell growth and apoptosis induction in human osteosarcoma in vitro. Oncol Rep. 2006 Jan;15(1):73-7. PMID: 16328036.